A special squad has been introduced by Seoul police with an aim of curbing mounting school bullying after two victims committed suicide last month in South Korea. The move comes after President Lee Myung-Bak said in a New Year speech that his government would make utmost efforts to combat bullying and violence at schools, calling them an issue of "grave" concern. 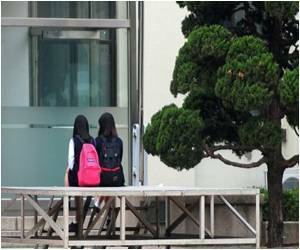 Each of the capital's 11 educational districts will be assigned one police officer trained in adolescent education and psychology, the Seoul Metropolitan Police Agency said in a statement. They will be tasked with collecting intelligence on gangs and bullies, protecting victims and disciplining and educating offenders in cooperation with education experts. Laying out policies planned for 2012, Lee said government agencies and experts are coming up with measures aimed at ridding schools of bullies. Two middle school students, one in the southeastern city of Daegu and the other in the southwestern city of Gwangju, took their own lives last month. The student at Daegu left a suicide note saying that he had been brutally bullied by his classmates. Two alleged attackers were arrested on Saturday. Police also said they would step up patrols in school zones and other vulnerable areas such as outdoor parks and Internet cafes.